The growth in knowledge of the potential impact of concussion in recent years has prompted a demand for sports organizations across Canada to work with experts in health and health care to enhance the safety of athletes. 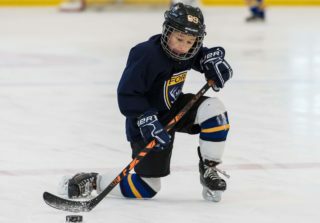 One example of this is the collaboration between the Greater Toronto Hockey League (GTHL), the largest hockey league in the world, and Toronto’s Holland Bloorview Kids Rehabilitation Hospital’s concussion centre. 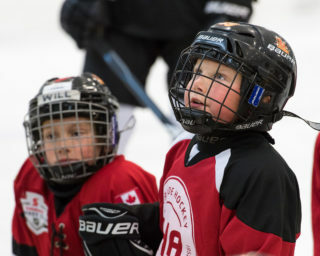 Together they have teamed up for five years to create a first-of-its-kind, integrated concussion strategy to enhance minor hockey player safety. In just one year of the collaboration, the GTHL is already seeing significant changes in concussion awareness and reporting culture among its athletes, and there is more to come. Since 2013, Holland Bloorview’s concussion centre has been conducting innovative research in the field of pediatric concussion and providing evidence-based services for concussion management. 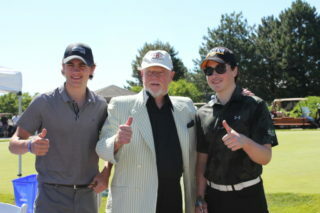 At the same time, the demand to translate this knowledge to the sport community soared, especially in the GTHL. The organization was using a return-to-play policy that needed to be updated and supported by the appropriate training and education of volunteers. 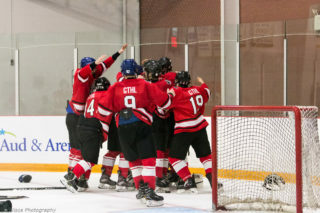 The need to implement a comprehensive concussion policy in Canada became evident and the GTHL was one of the first to take the lead in this regard. With expertise from Holland Bloorview, the GTHL was able to launch their new concussion policy prior to the start of the 2016-2017 hockey season. 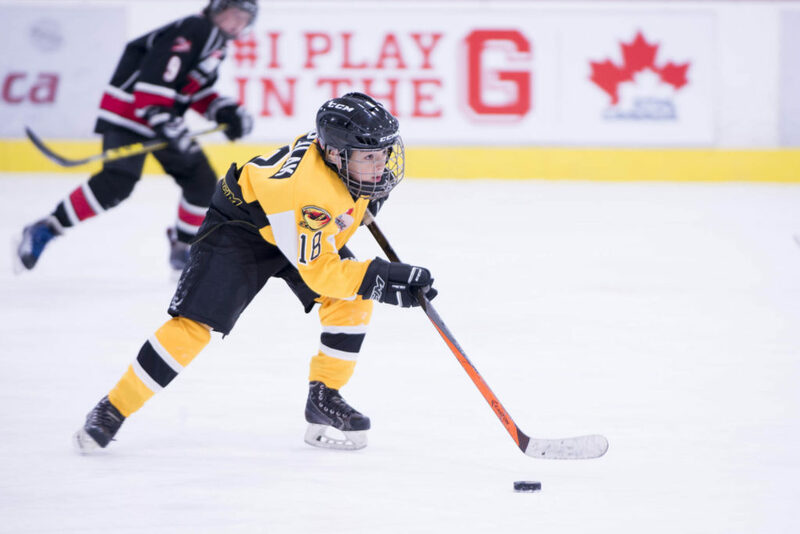 The new policy and protocol made it mandatory for all GTHL players with a suspected concussion to be seen by a physician for diagnosis and medical clearance before getting back in the game. This ensured players were receiving proper diagnosis and followed a gradual return in a hockey-specific environment. Players were also able to see their progress through clear guidelines in the return-to play-protocol, which broke down the recovery process into a series of steps. The idea was to add safe and manageable activity levels; seeing how a player responds, and if all went well, progressively adding more. The innovative policy involved the collaborative work of medical professionals, coaches, trainers, and families to make sure players were supported in every step of recovery so they could return to their favourite game happy, healthy, and ready to play. 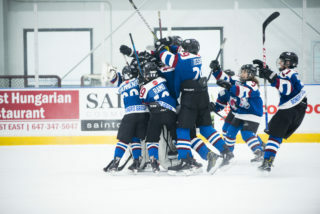 One of the critical pieces of the implementation was the fact that all 1,200 coaches and trainers involved with the GTHL’s competitive teams received mandatory training from Holland Bloorview; including education on how to prevent, identify, and manage concussions, as well as their specific role within the new concussion policy. “When it comes to concussion, players, parents, coaches and trainers are looking for direction and support. Thoughtful collaborations between youth sport organizations, health care providers, and researchers can be a real-game changer in making sure that the policies created are relevant and meaningful to everyone,” says Dr. Nick Reed, clinician scientist and co-director of Holland Bloorview’s concussion centre. This unique initiative didn’t stop at policy change and education. The two partners also engaged 939 coaches and trainers to participate in concussion research that involved completing a survey prior to and after the training sessions to learn about stakeholders’ baseline concussion knowledge, attitudes and practices in hockey. These surveys will be repeated every few years to provide insight into how a sports partnership with a health care organization can influence change over an established period of time, and help inform future concussion education efforts in sports nationally and internationally. Today, the GTHL is leading the way in how they are executing on a comprehensive concussion strategy in minor sports. A year into the league changes and training, the GTHL has seen significant improvements in concussion awareness and reporting. During the 2015-2016 season, under the former policy, a total of 105 concussions were reported. This year, 352 suspected concussions were reported throughout the season – an increase of 235 per cent. This indicates that greater education and policy implementation is leading to behaviour change in concussion reporting. More players with a concussion are now following evidence-based protocols through physician diagnosis, gradual return-to-play protocols, and medical clearance from physicians before returning to contact play. “This collaboration truly delivers an innovative, world-class concussion strategy across the entire GTHL,” says Scott Oakman, executive director and chief operating officer of the GTHL. 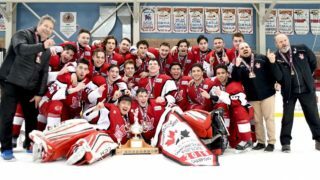 Establishing itself as a leader in the Canadian minor sports scene doesn’t stop there for the GTHL. In partnership with Holland Bloorview, the minor hockey league has started to conduct leading-edge concussion research by measuring the impact of policy change and mandatory education on the league in the 2017-2018 season. Currently, the research is exploring the concussion injuries that have occurred in the GTHL before and after policy implementation to provide guidance for further research and injury-prevention strategies. Additional research will also measure changes in concussion knowledge, attitudes, and practices of coaches and trainers before and after concussion education, as well as changes over the next five years of the partnership. This will help evaluate their effectiveness in improving the identification and management of concussion injury in minor hockey for all future players. Far too often, kids and those involved at the youth and grassroots sports level are overlooked with respect to concussion support and policy development. With creative collaborations that are designed to meet the unique concussion-related needs specific to youth athletes and those involved in youth sport, the future is bright. Together, we can promote safer sport experiences for all youth and keep kids engaged in being active and having fun.